AMD set to launch 'Phenom' quad core chip. AMD will soon launch its own quad core desktop chips with 'Phenom' designed name in attempt to compete its very old and the only rival Intel Corp.. It is due launch after the second half of 2007 with the similar architecture of its Barcelona quad core Opteron server processor in mid 2007.AMD entered into the market with its original Opteron server chip in 2003, but the company began to slip back again when Intel launched its quad-core Xeon and dual-core Core 2 duo chips in 2006, pushing both of them on a price war. Intel already sells chips for quad-core desktops too, But AMD claims that it has an engineering advantage over Intel since its quad-core design uses a single processor die instead of Intel's approach of connecting a pair of dual-core processors also called as "duct-taped-together dual-dual core." Mozilla launches its Firefox 3 Alpha 5.0. Mozilla has launched its Firefox 3 Alpha 5.0 . code named as Gran Paradiso.Download it from here.Firefox 3 Alpha 5 represents the biggest upcoming change for the new browser version. The bookmarks and browsing history are stored in a SQLite database, which allows for better performance, more stability, and other features. Hopefully the browser wars will continue further.And might bring the best browser to a halt. 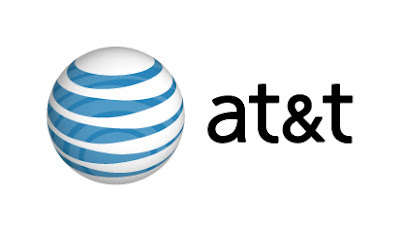 AT&T hires 2,000 employess for iPhone launch. AT&T Inc. has hired 2,000 temporary employees to handle its much-hyped and most awaited introduction of the iPhone, the first cell phone from iPod music player maker Apple Inc. The biggest U.S. wireless service provider by customer numbers will be the country's only carrier to offer the device when it goes on sale June 29. The iPhone was announced in January this year which includes iPod like music clarity and can surf web with it beautifully made touch-screen and it can even make calls. AT&T, will make iPhone customers sign up for a 2-year contract, but has not yet revealed the service fees it will charge. The price of an iPhone will be either $500 and $600, depending on the storage space opted by the customer in the phone. Apple Inc. said Thursday that users have downloaded more than 1 million copies of the Windows version of its Safari Internet browser in the first 48 hours it was available. Several researchers wasted no time in pointing out security vulnerabilities they found in the Windows version of Safari, and Apple issued an update to the browser Thursday to fix those bugs. Apple shares fell 2 cents to $118.73 in after-hours electronic trading after gaining $1.25 to $118.75 in Thursday's regular session. Browser War Continues and we have a new Contender-APPLE INC.. It has been quite a very long time since the browser fight has erupted, but we haven't yet found out the real winner.Quite for sometime many had got their answer after the launch of the beautiful open-source browser Mozilla Firefox. Now the war has again got some more air as Apple Inc. has entered in this war with the launch of its very own Browser Safari for Windows-based PCs which is an open-source project.Safari was launched for Macintosh-based PCs 5 years ago and it captured 5% of Internet Explorer[IE] users i.e. 18 million users,Jobs said.Internet Explorer has the lion share in this competition i.e. 78% while Mozilla Firefox has gained 15% of the total market. Apple Inc. claims that the Safari browser loads web pages 2 times faster than IE 7 and 1.6 times faster than Mozilla Firefox. The missing feature in Safari Windows is "email webpages" - Mac users can email full copies of websites while Windows users can only send the link of the current webpage. After gaining some market after its beautiful Mac OS Tiger Apple might be able to capture the internet Browsing market by beating its very old rival Microsoft and the new outstanding competitor Mozilla.